Normally local calls are within Dubai Emirates are from operator but this is my first experience that this hotel charging for landline calls within Dubai. Internet only provided in lobby area and chargeable at room with high cost.. these are the drawbacks.. Otherwise this hotel is very good and recommend to everyone..
Room was not clean enough and not ready when arriving. Room needed to be shampooed or carpet replaced. Bathroom walls and floor were not clean enough. The mattress was probably not close to new since we saw a really dirty old one in the hall. The whole building has a musty smell. The check-in guy gave us confusing directions to our room. The hotel is in a lower end Indian neighborhood for anyone unsure of the Dubai area. If they are going to charge as much even with its location they need to invest and update more into the hotel instead of squeezing pennies. We did not feel any hospitality from the staff or reception during our check in, also wifi have charges separate from the room fee, no kettle and the pool was bit dirty. Also the furnitures and utilities are not well maintained. Hotel is very old rooms are very big..the pillow covers were stained ..the ac was not workin .the personnel tried to fix it however it was not effective ..since the carpets were old it got quite stuffy without the air conditioning.. some of the staff were good some of them dint even have an eye contact during checkin..overall u get what u pay for..so its worth what u r payin for . Beware!!! They said they have carpark but they will charge you aed25 per night. They said they have wifi in room but they will charge you aed25 per device. Room is big but old and a bit dirty. Receptionists looks frustrated all the time. Don't expect a smile from them! The hotel is located in a busyt area with number of veg and non veg restaurents and dept stores around. Nice area to walk around and the street extends to the sea shore in 15 minutes walking. Phone recharge or anything of that sort its a minute away.Al Fahidi metro station is just 10 minutes walk. Overall good experience. The carpets were old and smelly. Entertainment channels were not working properly. No guidance from staff for car parking facilities. The receptionist were not welcoming. Air condition was good even though it's old. 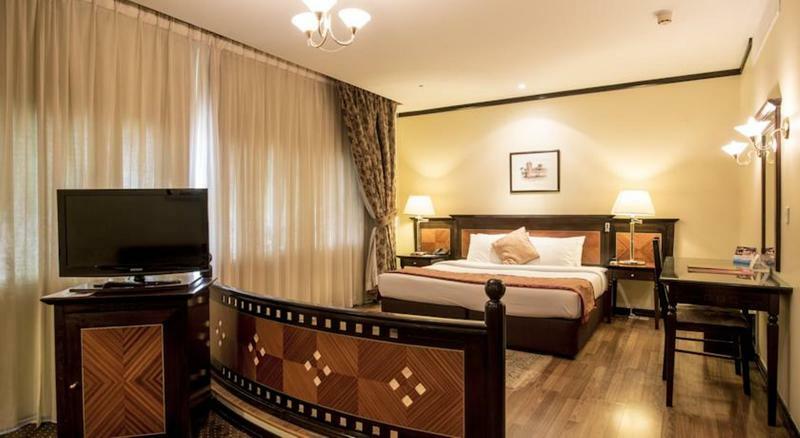 Location of the hotel is very near to the city which helped to reach nearby shopping malls. Will not recommend or go to this hotel anymore. Night clubs was horrible. 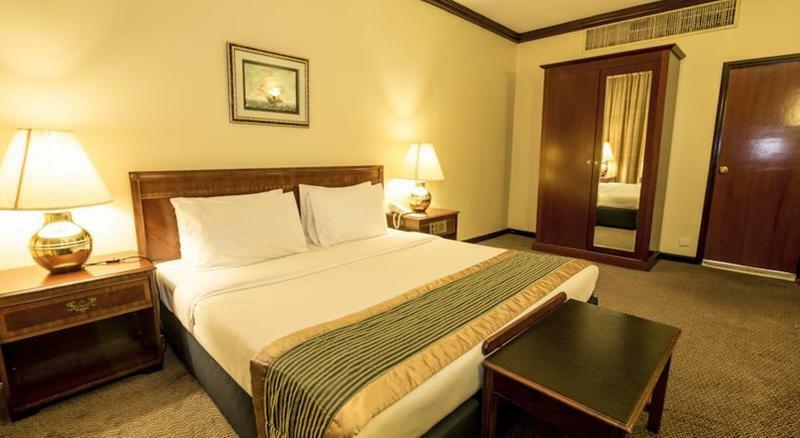 being a hotelier couple and a frequent traveler we will never recommend this hotel,this is the worst hotel we stayed our booking was for 2 nights we checked in late night and and checked out on the same day. this is the only hotel which charges AED 25 per device for 24 hours for wifi. beds and the pillows were smelly and find lot many hairs on it. One of the Cheap and Best Hotel in Dubai I found in my past 10 Year life in UAE. 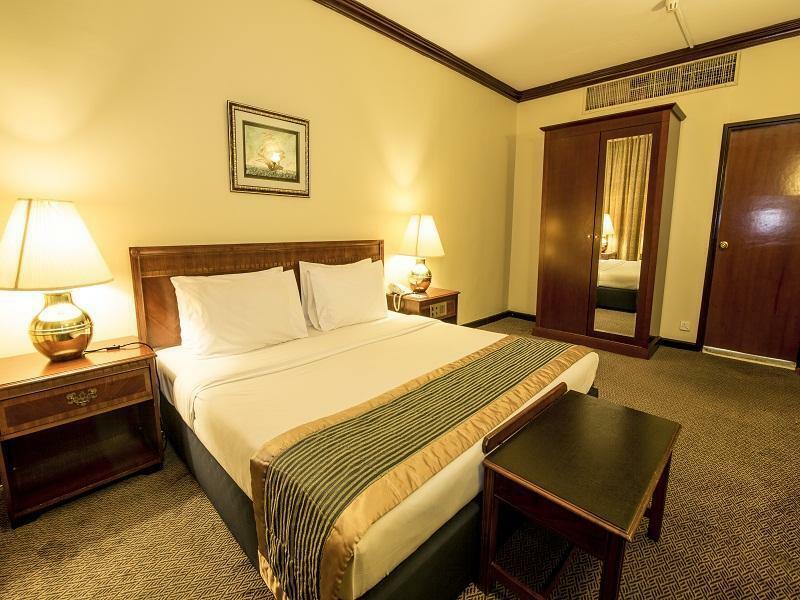 i am a regular business traveller, booked this hotel infortunately, Really disgusting service, Old style Furniture, There is no FREE WIFI, they said that it will be free only in lobbey, in rooms i have to pay 25 AED / Device / Day.... Never Recommending this hotel to anyone. Even They also not allow guests. I just booked the hotel few hours from the check in since I'll be travelling and be in Dubai at midnight. 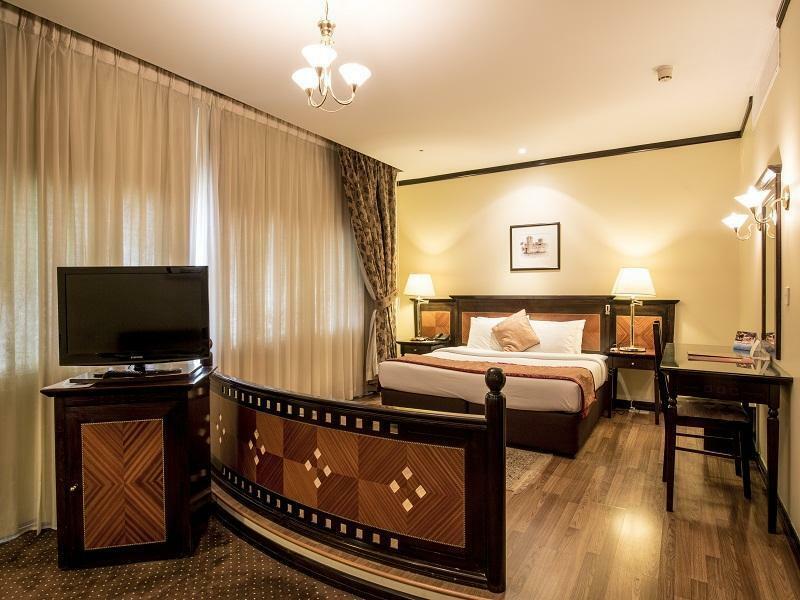 The hotel is wisely located in the center of Bur Dubai. The staffs were very courteous and accommodating. The room we first went was 2 single bed and the concierge suggested if we would like to transfer to 1 bed. The staff courteously asked us to wait and in the matter of minutes, he already has the key to transfer to another room. The room is really spacious, well lit and luxurious. Bed is comfortable. Overall, the hotel is excellent even if we only stayed for few hours for transit. The stay was comfortable and room was nicely maintained. However during the check out I realized that the staff lacks of informing the guest about their parking rules. I parked my car in the hotel provided parking lot, as advised by the hotel staff, however no parking card was issued to me during the check in. Once I checked out the parking lot security asked me to provide a parking card, so I asked the security guard to wait and let get it from the reception , on which the security guard would not let me go and fired up with an unnecessary argument. The behaviour was highly poor. After 15 mins of unnecessary argument he noted down my car number and asked me to go and get the parking card and so I did. While I reached at the reception and explained the situation to the receptionist, she did issue me a parking card, however I did ask her that it should have been explained to me earlier at the check in about the parking card on which the receptionist fired up and said it was not her mistake. 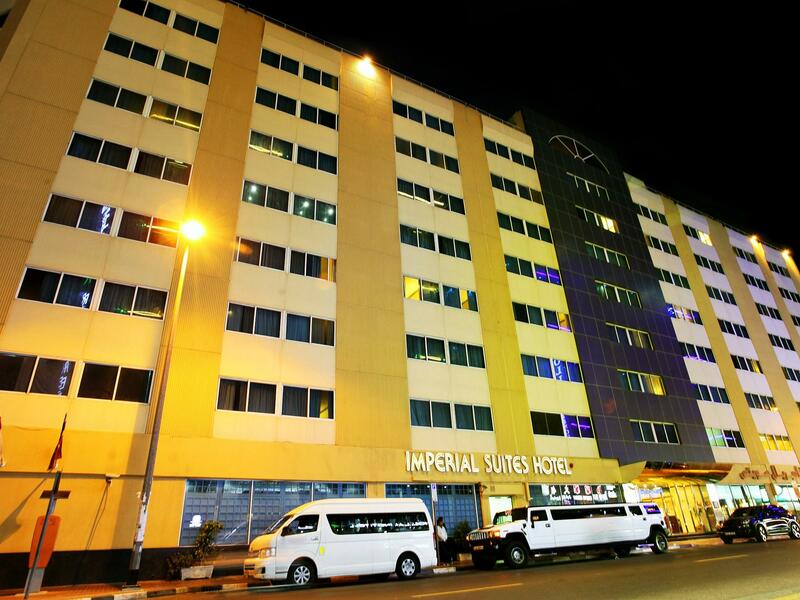 Eventually I realized that it was my mistake that I was staying at the Imperial Suites Hotel. Staff needs to be more careful on their behaviour with guests. I will never be back at this hotel again. The hotel was old, the interiors were old. The staff was so rude and doesnt have any customer service, specially the one that was on night duty at the lobby. Horrible experience when it comes to room service, you even have to pay for the wiFi, the utensils and the worst is for a toothbrush!!! They will tell you when you call, that they will be back and deliver the order within 2 minutes, but after that you will have to follow up and follow up for your order, it takes so long! No value for your money in this hotel, you have to pay for everything. สถานีรถไฟใต้ดิน Al Fahidi - ระยะ 0.42 กม.